If you’ve ever shared your life and home with a pet, you already know the love and companionship that they bring. Did you know that they are also protecting you against heart disease, stress and helping you live longer? There are a number of ways that your pets help keep you healthy— some of them more obvious than others. A study by the American Heart Association showed that there was a significant association with pet ownership and reduced heart disease and greater longevity. Having a pet keeps you more active—walking your dog daily can help you meet your daily exercise requirements, as can running around and playing ‘chase’ with your cat. In Japan, dog owners exercised 54 percent more than non-pet owners over a regular basis, leading to lower blood pressure and cholesterol levels. In addition to the exercise, the very act of going outside increases social interaction and the sense of ‘community’ in your area. It’s not only the physical—pets also reduce stress and prevent loneliness. Our pets are often among our best companions, always greeting us with a friendly face and a wagging tail after a long day at work. Stroking and cuddling our pets also helps to increase oxytocin release, a ‘happy hormones’ that has a calming and soothing effect and is part of the development of bonds between both pets and human relationships. 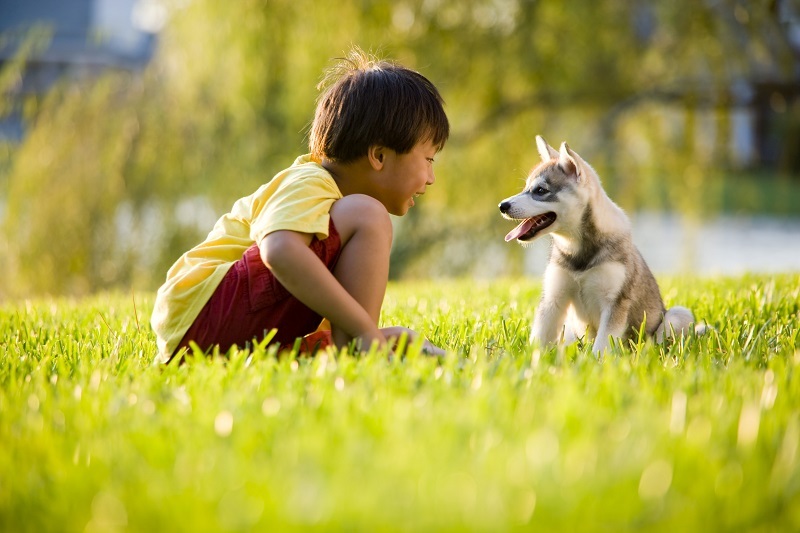 It’s shown that children in households that own a pet have both a reduced risk of asthma and allergic rhinitis as well as improved physical and psychological wellbeing. In addition, growing up with a pet appears to create well-balanced young adults and the prevalence of depression in these individuals is lower. What’s really very special about our furry friends is that there is no link between the benefits they give us and our economic situations—their love really is unconditional. It’s no surprise how much joy our pets can bring to tough emotional situations, and in some cases can be literally ‘life-saving’ as they can detect an approaching seizure and can even ‘sniff out’ cancer before we are even aware of it. And, of course, there is always the ‘intangible’ benefit of pet ownership—the love and joy that our pets bring to our lives. It’s truly heartwarming that more and more pets are seen as part of the family and we are responsible for investing in keeping them as happy and healthy as they do us. So, the next time your children are pestering you to get a family pet, remember that while it may need toilet training and will scratch your sofa, it could also help reduce the number of sick days for you and your family!